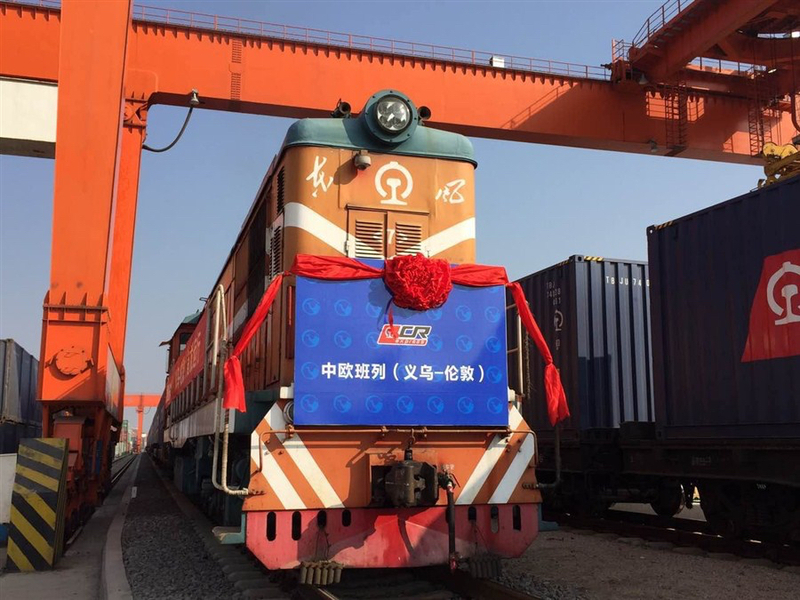 On Sunday, Jan 2, 2017, China Railway Corporation launched its first freight train to London, marking another historic footprint on the European continent. Departing from Yiwu West Railway Station in eastern Zhejiang Province, the train will travel for about 18 days and more than 12,000 kilometers before reaching its destination in the UK. Yiwu is known for producing small commodities, and the train mainly carried such goods, including household items, garments, cloth, bags and suitcases. It will pass through Kazakhstan, Russia, Belarus, Poland, Germany, Belgium and France before arriving in London, according to Chinese State media, Xinhua. The service will improve China-Britain trade ties, strengthen connectivity with western Europe, while better serving China’s Belt and Road Initiative, an infrastructure and trade network connecting Asia with Europe and Africa along ancient trade routes, the China Railway Corporation said. The strategy was launched in 2013 and is an infrastructure and trade network connecting Asia with Africa and Europe along old Silk Road trading routes. There are currently 39 routes linking 16 Chinese cities to 12 European cities. Until June 2016, 1881 services had run from China to Europe and 502 had returned. The returning journeys transported items such as German meat products, Russian woods and French wines. China’s exports totaled $2.27 trillion in 2015, slowing down from $2.34 trillion in 2014. Its economic growth slipped to 6.9 percent in 2015 from 7.3 percent in 2014, marking the slowest growth in 25 years.